My novel Leaving the Beach is the story of a lonely bulimic woman named Erin who’s obsessed with musical icons like Jim Morrison, David Bowie, Elvis Costello, and Bruce Springsteen. But Erin’s entire life changes when she has a chance encounter with a grunge rocker desperately in need of help. Leaving The Beach won an IPPY award in 2016 for regional fiction, and is currently a semi-finalist for the 2017 Publishers Weekly BookLife Prize. Here’s what Kirkus Reviews has to say about Leaving the Beach: The book gracefully grapples with several important issues, including alcohol and drug addiction, loss, grief and sexuality. It also offers a unique look at an eating disorder from the sufferer’s perspective, describing bulimia frankly and graphically. However, there are also many entertaining pop-culture references to offset the weighty themes. Music lovers, in particular, will appreciate the very specific rock trivia that the author cleverly provides throughout the story. An intriguing novel that looks at the ways that people cope with the pain in their lives. You can read the entire Kirkus Review here. 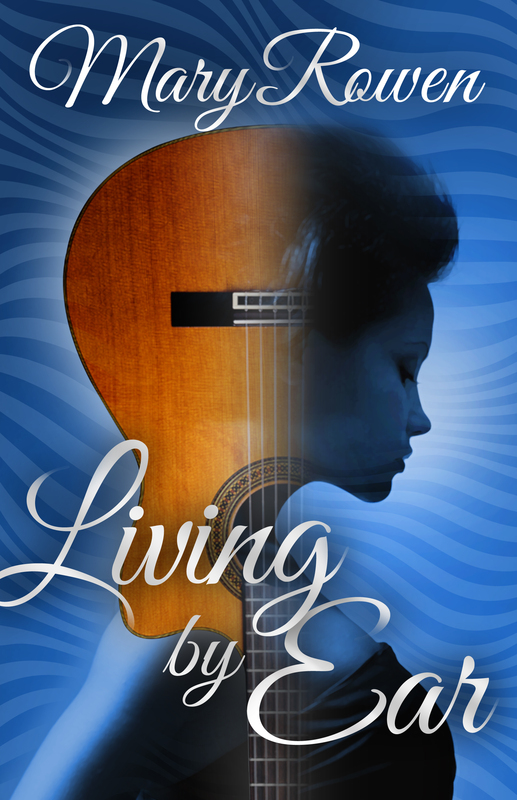 Living by Ear has a music theme as well, but it’s a very different type of story. In it, a singer-songwriter, who gave up her career to marry and start a family sixteen years ago, files for divorce and tries to resurrect both her professional life and her love life. Kirkus Reviews calls Living by Ear “fresh, poignant and funny.” It’s also been well reviewed by Amazon readers, so please have a look. These novels were published by Booktrope in 2014, but sadly, Booktrope went out of business in the spring of 2016. Hence, I’ve been doing extensive work on both manuscripts, and am hoping to republish them soon. More on this when I have news. I’ve also written a third novel called It Doesn’t Have To Be That Way. A brief synopsis is included below, and I hope to have more news to share soon! Molly Dolan, a confused twenty-five-year-old, keeps rushing into relationships with the wrong people. A violent incident during her teen years skewed her judgment, and now she finds herself drinking too much, quietly enduring sexual harassment at work, and ricocheting between hope and despair. A chance encounter with Fred Flaherty, her 72-year-old divorced neighbor, leads to an unlikely friendship between the two. Fred, a Cold War veteran, ham radio operator, and longtime loner, has also been wounded by violence. Like Molly, he dreams of a better future. Bridging their loneliness via tentatively-offered stories of personal loss and a shared love of Jim Croce’s music, Molly and Fred develop the trust and mutual respect that enable them to weather some hard times and navigate their own paths to brighter days ahead.